Hillsdale, NY (October 5, 2018) – A fatal crash in Columbia County is currently being investigated today, October 5. The accident was reported to have occurred between an SUV and a motorcycle on Friday afternoon, according to the Columbia County Sheriff’s Office. The crash which took place at the intersection of State Route 22 and County Route 21 was confirmed to have happened at around 1:45 p.m. Police along with emergency crews arrived on the scene shortly after the crash where they attempted to assist any victims. Unfortunately, the motorcyclist who has been identified as John Cronin Jr., 61, of Ghent, was pronounced dead at the scene. The unidentified driver of the SUV was immediately transported to a local hospital with neck injuries. There were no other parties involved in the incident. Authorities shut down Route 22 for approximately three hours as officers began the initial investigation. The cause of the incident remains unknown at this time. We would like to, above all else, offer our deepest condolences and heartfelt prayers to the loved ones of John Cronin Jr. during this tragic and devastating time. 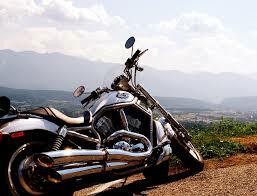 Motorcycle accidents in New York are all too often fatal or at least catastrophic. After an accident involving a motorcyclist, our New York accident attorneys believe all drivers should always be reminded to watch for riders at all times. We must share the roads in our community and be as observant as possible at all times while behind the wheel. Negligent actions are the most common reason for these kinds of accidents, and they are absolutely avoidable. We at Hach & Rose are passionately devoted to working on behalf of victims and their loved ones whose lives were taken by the behaviors of a negligent driver. If you have lost a loved one in a New York motorcycle accident, please call 212-779-0057 and let us put our passion and knowledge to work for you.